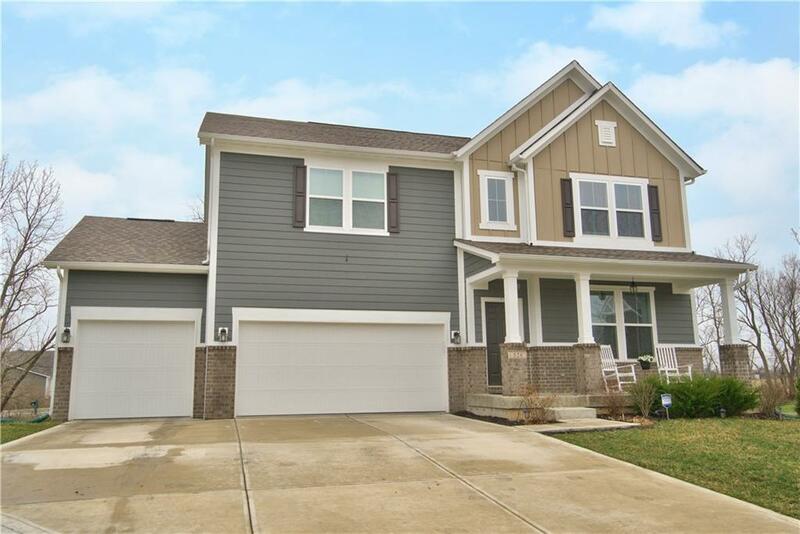 Built just 3 years ago, this home has just under 5000 sqft of FINISHED living area! You will love the gourmet kitchen with staggered height cabinets, yards of granite counters, a center island large enough for everyone, high end stainless appliances including a double oven and gas cooktop! The kitchen, dining room and sun room all enjoy warm wood flooring. 5 generously sized bdrms and 3 full and 1 half baths! The Master Suite is spa like with a tray ceiling and measuring 17x16 - the bath enjoys an oversized ceramic tile shower complete with two shower heads, two separate sink vanities and two walk in closets! Don't forget the large loft and office area! Impossible to find full Finished DAYLIGHT basement! Located on a Cul-de-sac!